WHO SHOULD YOU SHARE IT WITH? SHOULD YOU BE PROTECTIVE OF YOUR PERSONAL INFORMATION ONLINE JUST AS MUCH AS YOU ARE IN REAL WORLD? WHAT SHOULD YOU DO IF YOU ARE WORRIED ABOUT BEING BULLIED OR KNOWING SOMEONE IS BEING BULLIED? 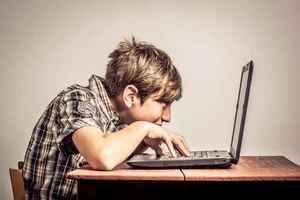 The core components of teen Internet addiction are similar to those of any other addiction or compulsion. Internet addiction is described as an impulse control disorder, which does not involve use of an intoxicating drug. Similar to other addictions, teens suffering from Internet addiction use the virtual fantasy world to connect with real people through the Internet, as a substitution for real-life human connection, which they are unable to achieve normally.